Musicnotes, Inc., the market leader in downloadable sheet music, announced that it recently sold its five-millionth download since the site first launched (1999). The five-millionth download was a Guitar Guru Session of Don McClean’s “Vincent (Starry, Starry Night),” and was sold to a customer in Germany. Musicnotes will also pass another milestone in early 2009, when royalties paid to publishers and songwriters will pass the $10 million mark. I'm pleased that Musicnotes are doing well, but this really doesn't seem like a lot of sales, considering they've been around since 1999. 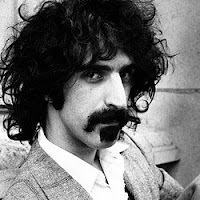 What's striking to me is that this was something that Frank Zappa envisioned in 1981, and almost even raised venture capitol for it. Frank connected my then partner Steve DeFuria and I with the same venture firm, Rothschild Capital (yes, that one) and spoke highly on our behalf. We actually met Baron Von Rothschild in the penthouse of 1 Rockefeller Plaze in New York as a result. Frank gave us the use of his studio to make our initial pitch to two Rothschild bankers, which happened to be at 9AM, one of the few times that he slept (every day he had two 8 hour shifts in the studio and some private writing after that). About 15 minutes into our pitch, Frank burst into the meeting with coffee cup in hand, torn t-shirt, sweat pants with a hole in the knee, and severely matted hair, obviously right out of bed. Steve and I groaned a little inside, wondering how his appearance was going to go down with the 3 piece-suited straight-laced New York VCs, but Frank launched into an absolutely captivating hour and a half pitch on our behalf, holding everyone in the room in the palm of his hand. That was Frank. Everyone who ever came in contact has a story (usually a lot more than one). Our project (called the MicroScorer, basically a computerized music scorewriter that's pretty much in every DAW these days) and Frank's were never funded, mostly because the oil crisis that year made energy investments the better bet, but it was an interesting little ride at the time. Sheet music over the Internet was a dream of Frank's and he'd be proud that it eventually happened. Wish he were still here to see it. Contrary to previous website reports, the legendary Manny's Music of New York City is not closing any time soon. Sammy Ash, vice-president of Sam Ash Music, the parent of Manny's, reports that his family-owned company is currently in lease negotiations for the Manny's location on 48th Street as well as several nearby Sam Ash stores. Given the current New York City real estate market, he adds, "We are confident that we will be able to secure favorable lease terms." The widely reported problems in the finance industry have fallen particularly hard on New York City, where office vacancies currently are at an 18-year high. Ash states, "It really is a buyer's market right now." That being said, a friend personally confirmed the closing from a Manny's employee after reading the story here. The employee said the Manny's staff had a meeting where they were told that GE bought the property and the lease wouldn't be renewed. Perhaps GE has decided that the time isn't right for expanding Rockefeller Center, and renewing the lease for another term would be prudent. We'll know for sure on May 15th. A majority of Canadian Internet users see no major problems with peer-to-peer file sharing, and most react negatively to the notion of a levy on ISPs that would help to compensate musicians for the music they create. Among Canadian Internet users, 23 per cent say they have downloaded free digital music files from peer-to-peer file sharing sites in the past 30 days, while just 12 per cent have paid a fee to download digital music files from an online music store such as iTunes. A significant proportion of online Canadians have not bought into the idea of paying for online music. 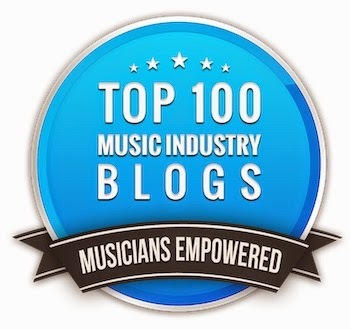 Proponents of file sharing have long held that the music industry is doing itself a disservice by attacking its own fan base, noting that these consumers are often the most voracious music enthusiasts. Those who downloaded an MP3 file from a free file-sharing service are significantly more likely to say they will buy a CD in the next month (41 per cent vs. 34 per cent for non-file sharers), and are more likely to have gone to a concert in the past year (65 per cent vs. 52 per cent for non-file sharers). Everywhere you go, people seem to feel the same way about music these days and Canada is no different. Too many people feel that music should be free. Perhaps they're right, but musicians, songwriters and record labels the world over would beg to differ. The economic model of Music 3.0 will change our perceptions about music forever. Merlin, WMG and Universal have all finalized deals with PlayAnywhere, the new service that puts personal music and video collections onto the “cloud” and enables subscribers access and play across multiple devices including mobile, PC and in-car regardless of DRM and formats. The "cloud" means online storage so it doesn't live on your computer. What's interesting is that PlayAnywhere is a subscription based service, but they don't sell directly to consumers. They "supply their service to device manufacturers, telecoms companies and ISPs who can then offer it to their user base either as part of their package or as an extra".
" It will keep a log of what you play, whether you are on or offline and then when it can it will send that information back to catch who use it to determine how to divvy up the money received in the form of subscription fees and distribute that to the rights holders." The labels like this because it's another income stream, but especially because they believe that the future of music distribution is via subscription. While subscription might be sales nirvana to the labels, artists get paid less as do the publishers, so unless a way is discovered to divvy up the pie differently, subscription might take a while before it's adopted. 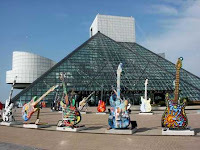 I never believed that there should be a Rock & Roll hall of fame. This just seems like an honor that isn't needed, since it hinges more on sales than on musical influence. That being said, the show is frequently enjoyable, and I must admit that I'd like to see one in person sometime (missed my chance when the Ventures were inducted). Smokey Robinson will introduce Little Anthony and the Imperials. In the sideman category, E Street Band members Garry Tallent and Max Weinberg will induct their opposite numbers for Elvis Presley, drummer DJ Fontana and the late bassist Bill Black, while Paul Shaffer will intro legendary session keyboard player Spooner Oldham. A dirty industry secret has recently come out into the open that may change the way concert tickets are sold. It's always been curious that all the best seats in the house were gone even to the first standing in line at the box office. For many years, it's always been assumed that the ticket brokers and scalpers used their influence for these tickets, and while that might be partially true, the true reason has finally come to light. The acts themselves are given those tickets, who then sell them to the ticket brokers for a far higher price that the face value of the ticket. The revelation all came in the wake of a major blowup by Bruce Springsteen in recent weeks. Instead of being able to simply purchase a ticket to see the Boss, fans were bumped to the secondary TicketsNow.com - even though comparable tickets were available on the mainline Ticketmaster.com. Springsteen wanted nothing to do with the practice, and immediately shouted down the scheme. Unfortunately, plenty of artists gladly participate, to the detriment of their fans. Nine Inch Nails alter-ego Trent Reznor recently reaffirmed the dirty dealings in a blog post. "The venue, the promoter, the ticketing agency and often the artist camp (artist, management and agent) take tickets from the pool of available seats and feed them directly to the re-seller (which from this point on will be referred to by their true name: SCALPER). There is money to be made and they feel they should participate in it." Fans are tired of paying inflated prices far above the face value of the ticket, and in this economy, they'll soon be forced to act. We should see some tours with lots of unsold seats this summer. CreateSpace, a self-publishing service of Amazon.com, stated recently that it would resurrect hundreds of out-of-print albums by artists like Herbie Hancock, Kenny Loggins, Alabama and Shawn Colvin. These albums will be sold via CreateSpace's "Disc on Demand" service, and will be for sale on Amazon's "Back from the Vault" page in CD and MP3 formats. CreateSpace's Disc on Demand service is similar to print-on-demand -- albums are created as customers order them, eliminating the need for pre-built inventory. More than 20 record labels are participating, including EMI Music, Sony Music and Warner Music Group. This is a perfect example of the "long tail," where the items that normally wouldn't be sold because they don't sell enough to stock can be now be made available, sold at a profit, because of Internet. It's so nice to see most of the labels participate. And why not? It's another revenue stream as long as you can find the masters. 19% of those surveyed said they listen to music through social networking sites, up 4% from a year ago. Almost half of US teens listen to music on social networks, up from 37% in 2007. Among college-age fans the percentage rose to 41% from 30% the previous year. The number of U.S. consumers buying CDs fell by 17M in 2008. The decline in CD purchases was most prevalent among teens and consumers 50 and over. The number of people purchasing digital music increased by more than 8 million in 2008 to 36 million. Digital music download purchases increased 29% in 2008 over '07 and now account for 33% of all tracks purchased in the US. Many consumers said they were spending less on entertainment as a result of the recession. Many said they were turning to digital downloads as a way to buy individual tracks, rather than having to purchase an entire album. The music industry is in a state of transformation, but that's really nothing new. It's always been, so get used to it.